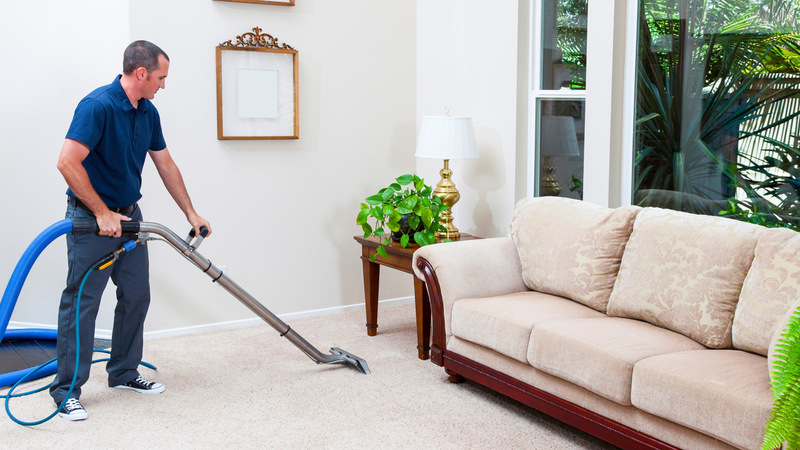 Are you looking for a professional carpet cleaning company? A company with over 38 years in the trade? You’ve come to the right place. Carpet & Fabric Care are a fully accredited carpet cleaning company; we pride ourselves on our outstanding customer service and attention to detail. Using the latest carpet cleaning methods and technology, we guarantee the best possible cleaning results no matter the type of carpet. Our results say it all, using our specialist carpet cleaning machinery we promise to clean your carpet not to shrink it! Using the latest technology and natural cleaning products we will give your carpet a new lease of life. For the best value for money with no hidden charges, call us today for a competitive quote. What's special about Carpet and Fabric Care? We offer our clients complete customer satisfaction – your carpet or fabric cleaning job isn't complete until you are 100% satisfied. Training and our 38 years experience with all known cleaning methods is our guarantee that we know the best and safest way to clean any type of carpet. Our investment in powerful and highly sophisticated cleaning equipment offers you cleaner carpets than dry faster and a more convenient service. We clean your carpet - not shrink it! Our safe, highly advanced and natural cleaning products offer fantastic results without harming your carpet or upholstery. Call us for a guide to the best in value for money carpet cleaning, with none of the 'hidden charges' tactics used by some 'low cost' companies. "My carpets and sofas look fantastic, I'm so pleased with the results." 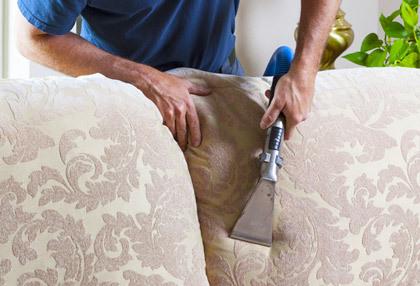 Carpet & Fabric Care caters for all your upholstery cleaning needs. Often avoided by some cleaning companies, we pride ourselves on our outstanding quality of work when it comes to cleaning upholstery. We don’t use harsh chemicals, only natural products which mean our furniture cleaning process is 100% safe. We guarantee against shrinkage and promise that our cleaning methods whilst thorough; won’t damage your upholstery. Stain protection specialists since 1990. You’ve paid good money for your new carpet or sofa, so why not treat it with the latest in stain protection. We are fully accredited and licenced as Berkshire’s leading Scotchgard experts since 1990. We are unrivalled in all areas of sofa and carpet stain protection. Our modern and highly developed furniture fabric protection treatments are available to protect all of your furnishings as a great defence against spills. For a low-cost competitive stain protection quote in the Berkshire area, please call us today! "The Carpet & Fabric Care team workled tirelessly to revive all carpets and upholstery at the club. The work you carried out for us is great!" We understand that accidents happen. A cup of spilled coffee, a knocked over glass of wine, mud, make-up and oil can all take their toll on the appearance of your carpets and upholstery. Our industry leading stain removal techniques can help restore carpets and upholstery to their original appearance. Many stains can be easily removed with our deep cleaning process, but some spills require special attention and professional products. We have unrivalled experience in solving these unsightly accidents. "Our carpets look brand new. Your service was punctual, professional and the result is fantastic!" Have you considered treating your new or freshly cleaned carpet and fabrics with the latest stain protection products? We have been trained and licenced as Berkshire's Scotchgard experts in 1990 and have unrivalled expertise in this type of stain protection product. We can now apply these modern and highly developed stain protection treatments to any of your furnishings, as a defence against spills becoming problem stains. "We were very pleased with the carpet cleaning results - and your extremely professional and friendly service." We offer homes, hotels, leisure facilities and commercial clients in Berkshire and Oxfordshire a professional and effective curtain cleaning service - without taking them away. We carry out all work on-site - in your home or business location. Our curtain cleaning service uses no harmful chemicals and is effective at removing dust, dirt, allergens and nasty odours from curtain fabric. This convenient 'refresh' service will rejuvenate your curtains and they'll be ready to use later the same day. For more heavily soiled and older curtains, we offer a take-down and professional off-site dry clean service. We re-hook and hang all curtains on their return. "My carpets, curtains and sofas look fantastic. I'm so pleased with the results." Carpet & Fabric Care offers a fast and effective mattress cleaning service for homes, hotels and guest houses throughout Reading, Oxford, Newbury, Maidenhead, Windsor, Ascot and Henley. All work is carried out at your home or business address, so there's no need to worry about the inconvenience of being without your mattress. Our expert cleaning techniques and industry leading equipment removes dirt, dust mites and other allergens, leaving a fresh and hygienic mattress and treats hard to remove stains to leave as clean, fresh and more comforting mattress as possible. Whilst dust mites are not actually harmful to most people, their microscopic cast skins and faeces are a major constituent of household dust. This dust can trigger respiratory complaints and the removal of this dust from the mattress cover is helpful, especially when combined with our 'Mattress Medic' treatment. Call us for more details. "Thank you for a great job. We were all delighted with the results." What's special about Carpet & Fabric Care? "We are delighted with both the finish of the carpets (which is remarkable) and the efficiency of your team to complete the job in the alotted time, with no disruption to business, no odour and no damp. Quite brilliant." Call us today on one of our local office numbers. It's the fastest way to get help and advice - and you'll be talking to an expert - not a call centre. Alternatively, fill out the form below and we will contact you as soon as possible. © 2016, Carpet & Fabric Care.